Pictured above is Nina Vetterli-Treml, vocalist and bassist for 69 Chambers. 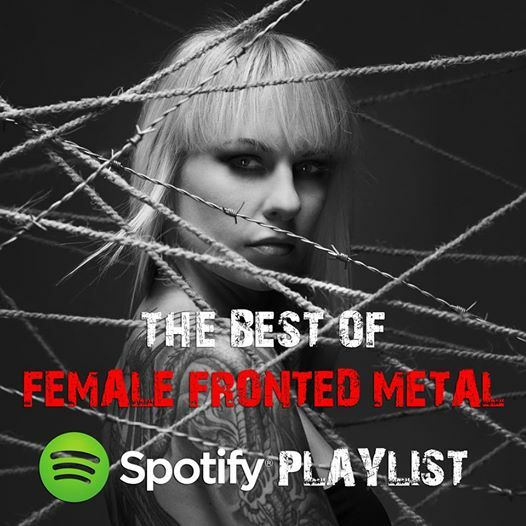 Check out this fantastic “The Best Of Female Fronted Metal” playlist on Spotify featuring female-fronted Metal bands like: 69 Chambers, Arven, Asylum Pyre, Elysion as well as Delain, Sirenia, Nightwish, DORO, Epica and many more! 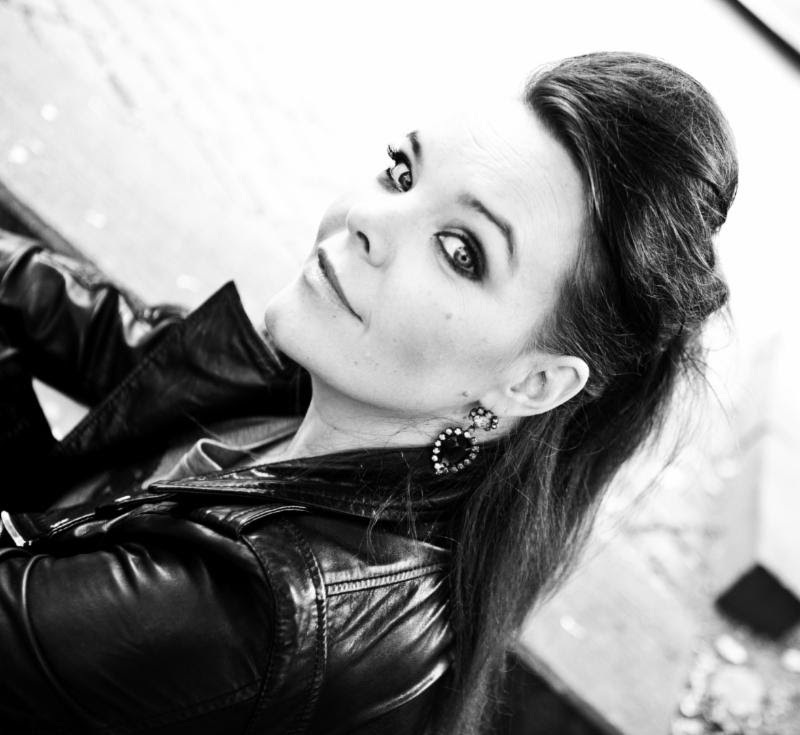 It is with great pleasure that Armoury Records, in conjunction with earMUSIC, welcomes ANETTE OLZON to their expanding roster of powerful frontwomen. Best known for her time fronting symphonic metal brigade Nightwish for five years before fleeing the band in 2012, the Swedish born songstress has established herself as a true apex among female rock singers globally and will continue the trend with her forthcoming solo release entitled Shine. Produced by Stefan Örn and Johan Glössner, co-produced by OLZON alongside Johan Kronlund and mixed by Kronlund, Nicklas Flykt and Ronny Lahti (known for his work with Loreen and Roxette), Shine is a logical next step in OLZON’s flourishing musical journey. Indeed, Shine crosses the borders between melancholy and hope; fragility and power. It showcases an artist who refuses to rest on her proverbial laurels but heads boldly into the future. Shine will be released in North America via Armoury Records this February. Further info, including track listing and teasers, to be unveiled in the coming weeks. When the style definition “Female fronted Thrash Metal” is used, inclined Metalheads always hope impatiently for a completely unleashed and dangerous, wild, vocal storm of throat-amazons. Regarding to this, one gets well treatment by DYING GORGEOUS LIES. Unbridled musical attitude namely gets fullest correspondence, at this extensive and adept high-speed note-command in all matters; and this includes even just the mangy as well as decayed, but always worth hearing variable micro-output of the prestigious wildcat Liz Gorgeous. 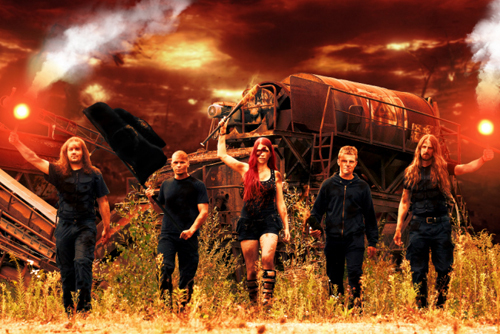 Founded in 2009, the enthusiastic Upper Franconian bunch of Thrashers around front-fury Liz worked out an enormous agile, rythmicized sound of pure defiance. The results are varied songs, which doesn’t lack neither of refined structures nor of catchy moments. This allows the troupe to create easily animating needs for movement. 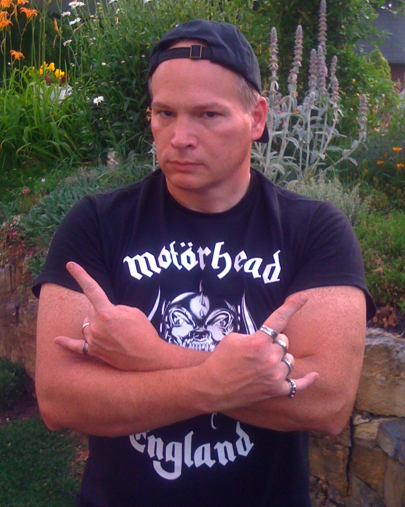 In the homeland of the dynamic chapel, the famous German beer and brewer city Kulmbach, Metalheads already recognize and appreciate the formation fully. Currently DYING GORGEOUS LIES keep their Digital EP Rising Hate in the race. 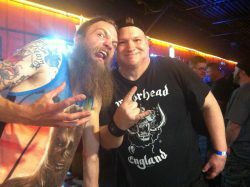 Rising Hate is intended as an effective appetizer for their upcoming second studio album, which will be on the market in 2014. LONG LIVE DYING GORGEOUS LIES. DORO – METAL QUEEN RECEIVES METAL HAMMER “LEGEND“ AWARD! Friday the 13th, 2013 for sure was a day of good luck, unlike the notorious date. At 10:30 pm, at the celebratory ceremony of METAL HAMMER AWARDS in Berlin, 48-times Berlin World boxing champion Regina Halmich announces the winner of the category “Legend”. Her name: DORO Pesch! Now the most important female Hard Rock and Heavy Metal singer is officially named a legend in her native Germany. Just three months earlier, DORO had been awarded at the “Golden Gods Awards“ at music mecca London. Two “Legend“ Awards within just three months – the double-coronation for the blonde Rock-Queen and this in the year of her 30th stage anniversary. Her fans can also take part in the celebration and enjoy the living legend live from October 12 onwards. At that time DORO will be embarking on her big 30 years Strong and Proud-Tour through Germany. Highlight: The double concert on May 2/3 2014 at her hometown Düsseldorf (CCD – Stadthalle). Her most current success Raise Your Fist in The Air was released on August 3, 2012 via Nuclear Blast and was produced and mixed by Andreas Bruns in Hamburg, by DORO in New York and for the very first time by VOLBEAT’s producer Jacob Hansen in Denmark. LONG LIVE DORO, THE QUEEN OF METAL. MORPHINE KILLER – NEW SINGLE “THROW IT ALL AWAY” IS OUT NOW AND CAN’T MISS! In my Metal opinion, this is THE song that should catapult Morphine Killer onto an entirely new level of Metal notoriety. This song for all Metal intents and purposes… ROCKS. The vocals of Belle have never sounded more alluring. She has proved to this veteran Metalhead, that she can be counted as one of the top new female vocalists in Heavy Music today. Metal be thy name. Eski’s tireless work ethic and Metal Music prowess shines through on Throw It All Away, with extremely contagious riffs and a melodic, driving sound. The outer crust of Throw It All Away has the flavor of Old School and that makes it all the better. Polished, while still delivering the Hard & Heavy, this single is one of the best introductions to those unfamiliar with Morphine Killer. This single can easily be one of the Hard Rock/Heavy Metal songs of 2010 that fans of Heavy Music shouldn’t miss! IF THE FUTURE OF HEAVY MUSIC IS IN THE HANDS OF BANDS LIKE MORPHINE KILLER, THEN I CAN SLEEP WELL AT NIGHT.